Harry, Ron and Hermione are back for more magical adventures! Cast a spell on your home or office with this must-have collectible! 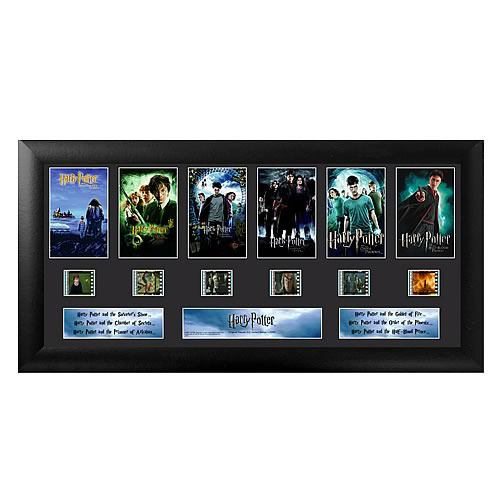 This amazing film cell features prints and actual strips of film from the first six Harry Potter films. Measures 11-inches tall x 20-inches wide. Perfect for displaying in your home or at the office, all the elements are framed in black wood and includes a certificate of authenticity. Limited to just 2,500 pieces! Please note that the actual cell of film may vary from piece to piece, as they are hand selected from reels of film.